I felt like I was watching an episode of Evangelion with that whole Chinatsu flourishing out of Tatara. It was symbolic moment in a sense that the two of them finally were able to click and perform different styles of ballroom dancing properly as a union. Though I wish they would have showed more dancing in this episode, but I get that ballroom dancing can be so limited that animating a whole routine would be tedious and not fun to watch. So it is understandable that there is not much dancing in this anime, which is why there is lots to compensate with- like the amazing characters. 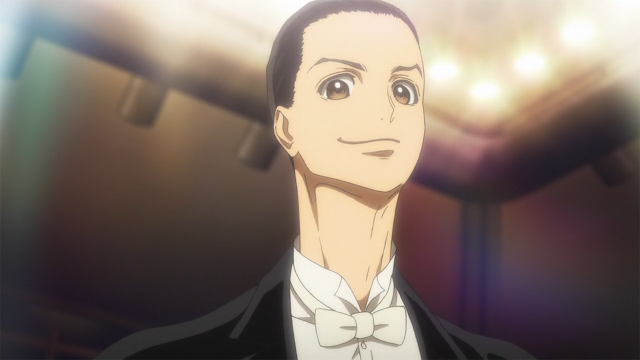 I have skimmed through one of the volumes for Ballroom e Youkoso and it looks like Takeuchi does not harp on the dancing aspect either in the manga, which is another reason why dancing is not eminent in the anime as well. 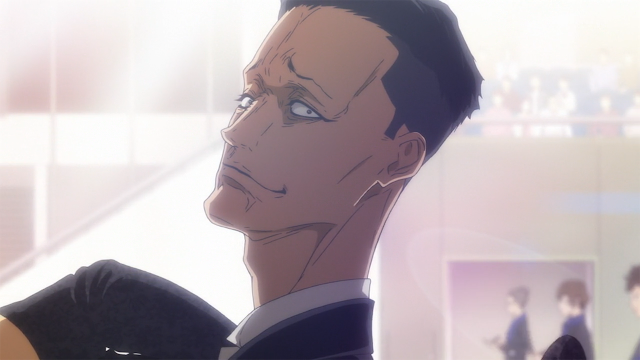 I have expressed how I was a bit disappointed that Tatara did not have a family support system at this Tournament, besides his friends, and I wished that a member of his family would should up- but sadly that did not occur. On the bright side something to the effect of a "family member" support did phone in to checkup on Tatara, and it was Sengoku. The inner Ballroom e Youkoso fan in me was about to have it's heart burst out of it's chest cavity since the conversation between the two was so precious. Sengoku is like family to Tatara in my eyes, and just the amount of happiness that was written all over Tatara's face when Sengoku called in was enough to make my day. I mean.. how cute was it when Tatara was looking for Sengoku like a lost puppy? To die for. 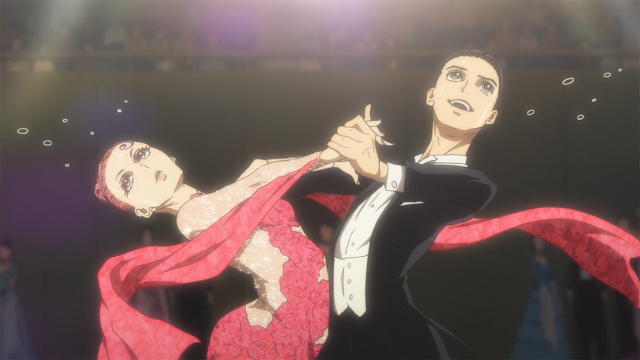 Kugimiya's pair was about to topple over, but sadly recovered and looked like they're still outshining Tatara and Chinatsu. Even though I don't know how the last episode is going to down, Kugimiya better not come out the winner of this tournament. 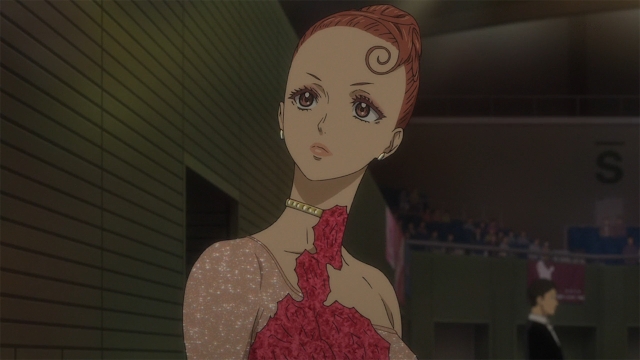 I am feeling a bit uneasy as well, even though I'm quite confident as that Chinatsu and Tatara will win, after Shizuku mentioned that they will be dancing a style in the next heat of the finals that they've never practiced..